Karibu partner “Iraqi Social Forum” is in Sulaymaniah, northern Iraq, leading a sports camp in the town of Dukan. The camp includes various exercises and nonviolent workshops, with the aim of building a strong civil society, confronting divisions and extremism in the region, and preparing volunteers for the next Iraqi Social Forum and the Baghdad Marathon for Peace. The camp includes solidarity races that aim at highlighting and supporting vulnerable social groups (see above pictures). Iraqi youth feel the pull of divisions within the country, and are encouraged to act on the basis of ethnic, religious and sectarian identities. This, in addition to the violent culture and policies of racial discrimination and sectarianism endorsed by some citizens, threatens Iraqi peace as it has in the past. 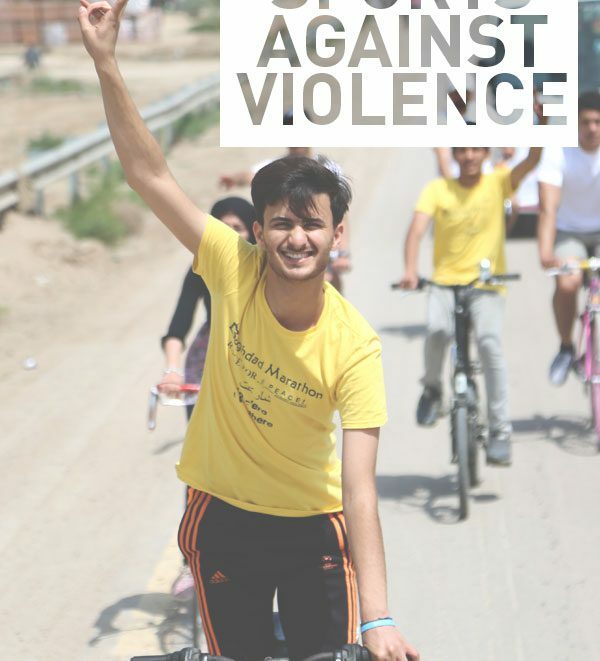 The ISF and their nonviolence and peace-building groups (including their Sports Against Violence group) work to confront the calls for division and violence, and instead spreads the values of citizenship, peace, and coexistence. The Iraqi Social Forum (ISF) is a space for coordination and social cooperation among Iraqi non-governmental organizations, vocational trade unions, and civil society activists. Their work is based on the charter of the World Social Forum, and they work for the vision that: “Another Iraq is Possible, with Peace, Human Rights, and Social Justice”.